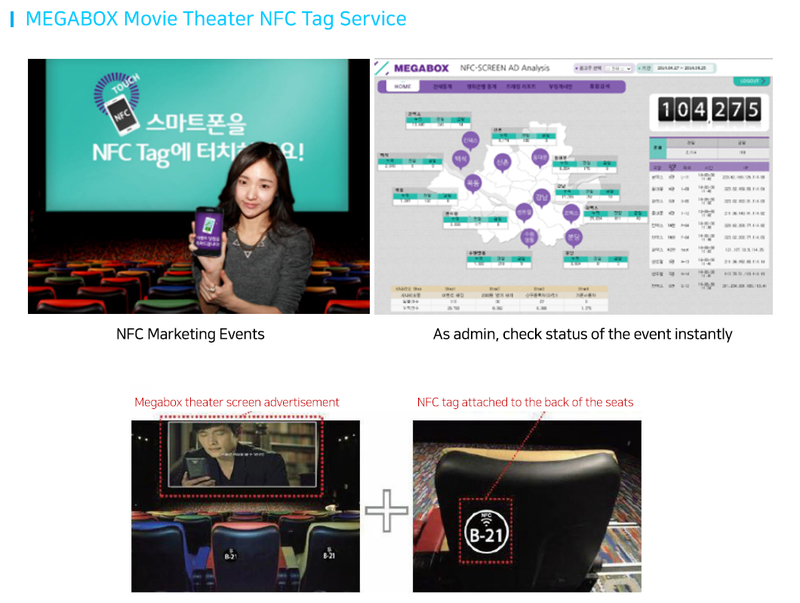 AQ Corporation’s patented Active Tag (TM) technology can be integrated with any multimedia platform imaginable! 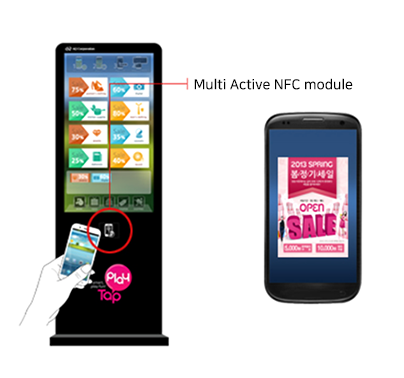 AQ Corporation is the world’s first to introduce ‘Interactive NFC-Enabled Digital Signage System’ by integrating the Active Tag and Touch Screen Display. AQ Corporation supplied its Active Tag integrated ‘Interactive NFC-Enabled Digital Signage System’ at the MWC, which provided exhibition, conference, meeting, sponsor and other information for the attendees. Daum Digital View signage in Korean subway line 1,2,3,4 integrated AQ Corporation’s Active Tag, providing interactive experience and information such as nearby information, mobile apps and advertisements. KT hosted interactive digital signage service at bus shelters in Seoul, which is incorporated with AQ’s Active Tag, that provided surrounding area information, public transportation information and advertisements which can be transferred to user’s mobile device. Mobile users can instantly be directed to currently displaying content related website by tagging the mobile phone to AQ’s NFC tag.